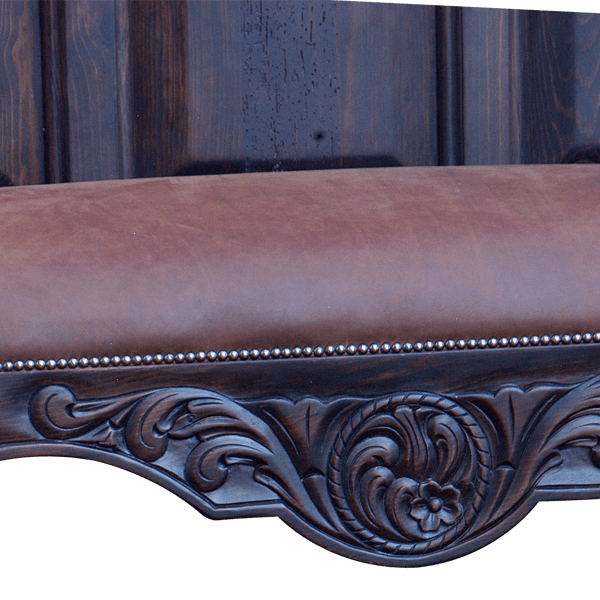 With its impeccable details, this remarkable, handcrafted, Spanish colonial style bench will be a marvelous addition to your Western décor. The top of the tall seatback is adorned with an exquisite, solid wood crest, and centered in the top of the crest is a circular, twist rope design. 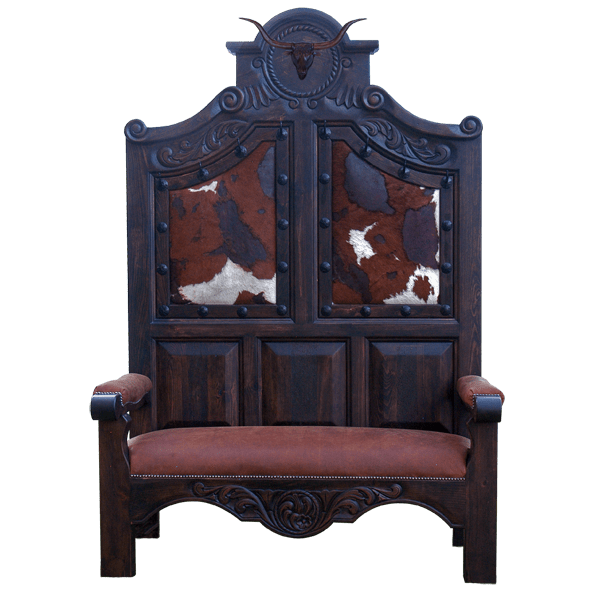 The circular design has a magnificent, hand carved, long horn steer head in its center. Flowing downward from the top of the crest are marvelous, hand carved, floral and scroll details. Each side of the upper seatback has two panels, and each panel is upholstered with patterned, real cowhide. 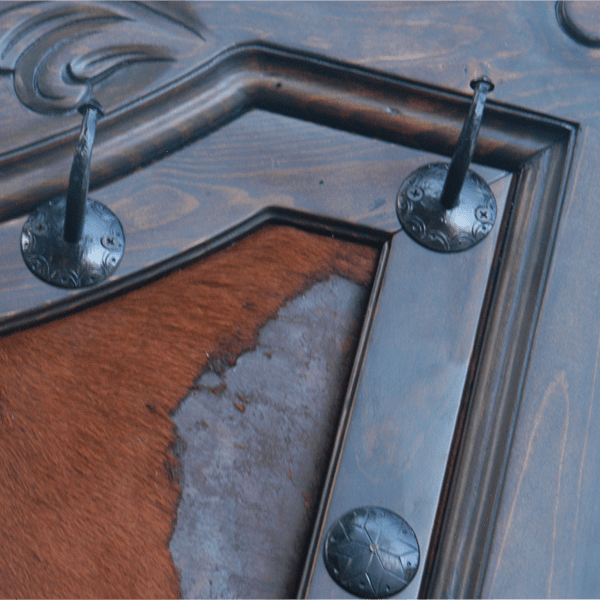 The top of each panel is enhanced with hand forged iron hooks that can be used to hang coats or hats, and the remaining sides of each panel have hand forged iron conchos intermittently hand tacked to its border. The lower, wide, seat back has three, beveled, rectangular cut panels. The seat is well padded and it is upholstered with patterned, full grain leather, and the same leather upholstery is used on the scrolled armrests. The leather is precision hand tacked to the frame and to the armrests with beautiful, silver nails. The front of the seat has a Spanish colonial style apron, and the apron has a circular, twist rope design with floral details it in center. Hand carved, floral and scroll details accompany each side of the circular design. The bench is supported by sturdy, square cut legs, and it has a classic, dark finish. It is made with the best, sustainable, solid wood available, and it is 100% customizable.